Help keep my blog up and runnimg. Make a donation to Toni’s Blog Any amount would be greatly appreciated. What an unusual flower! I was told the flower of this cactus attracted flies! The flower also sticks! Smells like something died. But if you can tolerate the smell it is a gorgeous flower! As you can see in this picture the flies love it! 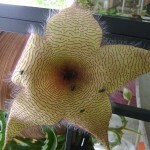 The name of this cactus is Stapelia gigantea also called the starfish flower. As you can see this cactus blooms very large star shaped flowers they are at least 12″ across. The flowers on this one do not have a very bad odor, but most of the time the flowers smell bad! In case some of you didn’t know this the flower is pollinated by flies! It is a very unusual cactus, but only because of the flowers. 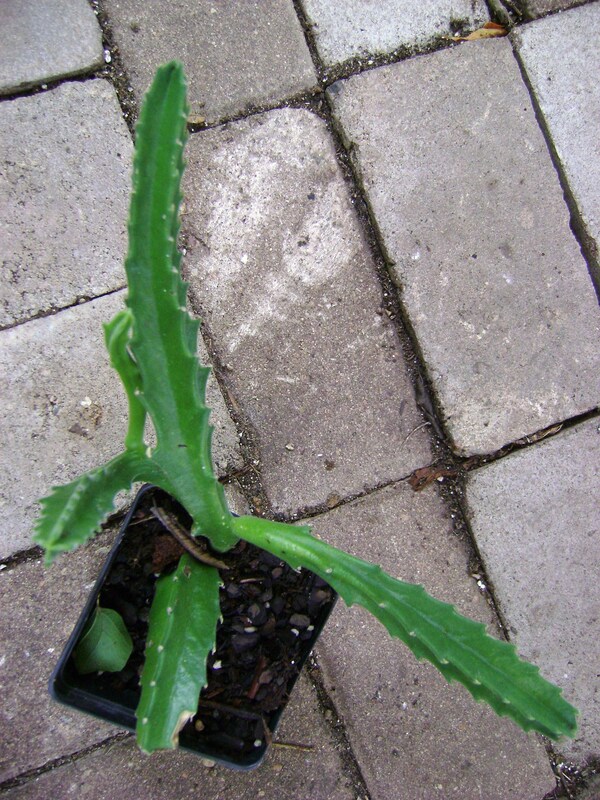 Below is a picture of what this cactus looks like without the starfish flower. Picture of Starfish Cactus with flies on the flower. Find rare and hard to find Begonias on ebay at great prices! Copyright © 2010 Toni's:) Begonias * Episcias * Quilts * Hobby & Pets Blog. All Rights Reserved. Powered by WordPress and WordPress Theme created with Artisteer by Toni Robles.